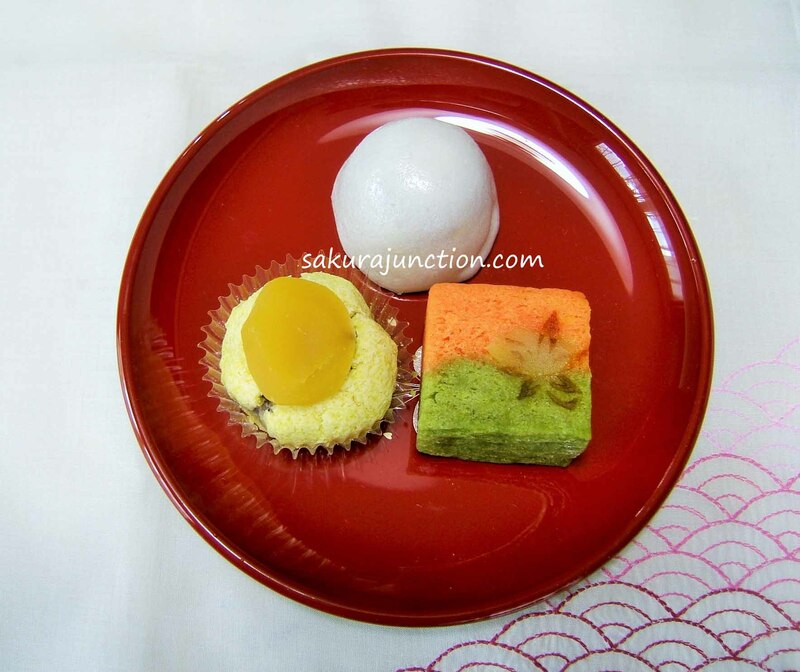 One of three sweets in the above photo you can see that the key ingredients is ‘Kuri (栗、くり)’ – Chestnut. Chestnut is very widely used for all sort of sweets in Japan in Autumn. The bottom right one is created with the image of a mountain in Autumn colour and Japanese Maple ‘Momiji‘ pattern was stamped on it. It also has pieces of Chestnut mixed in. My pleasure! I’m please to hear there is another Wagashi lover. Great to know about those people. 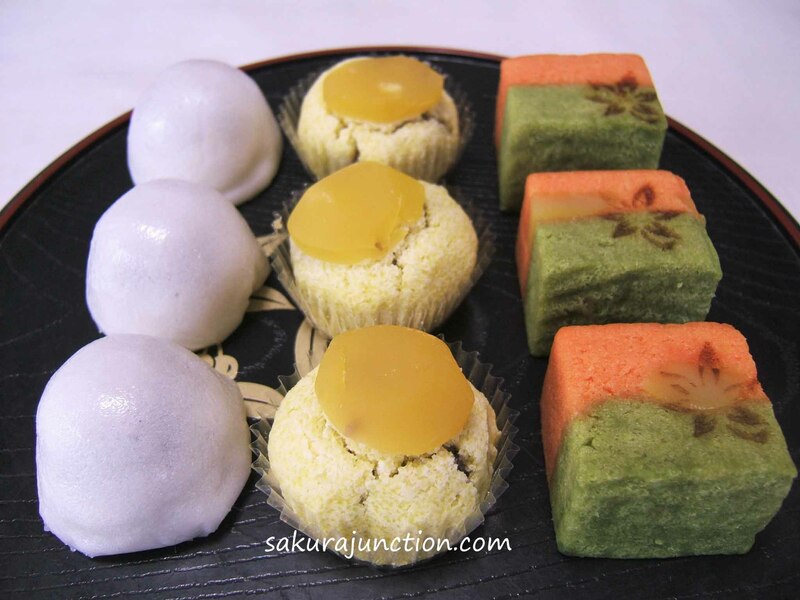 The story encourages me a lot since I am also a self-taught Wagashi maker. Many thanks. So my colleagues are not Japanese then. I wonder how they started liking Wagashi that much? I cannot think any Wagashi with Almond off the top of my head right now but there might be some baked one, I think. You never know what happens in the future. The day might come sometime. Ha ha, I have to start planning for the day now! Beautiful! 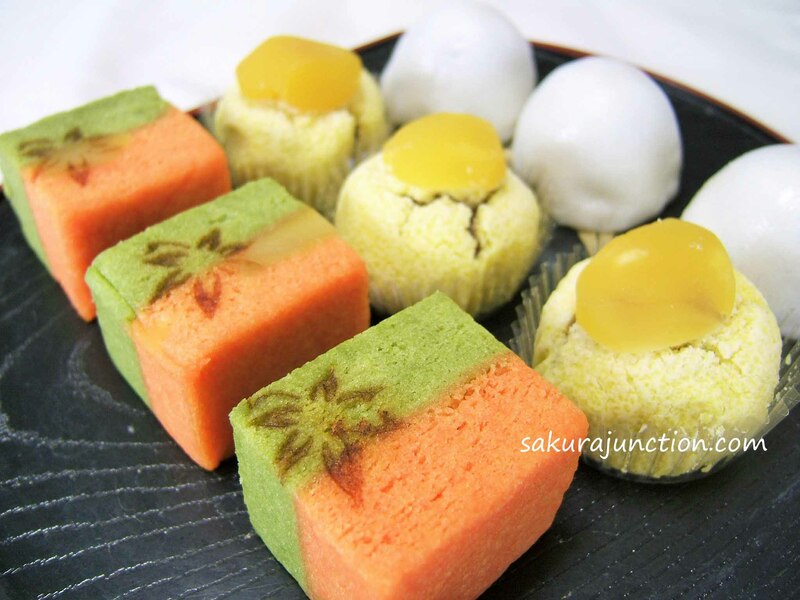 But we do not expect less of Japanese sweets! I love how the food changes with season in Japan, they are also food for the eyes!! Yes, I enjoyed walking in department store and supermarket. All the seasonal food and decoration were colourful and beautiful. I just love the seasonality of Japanese food! So what is the taste of Autumn in NZ? Gee I don’t think we have a NZ cuisine like Washoku as we are a country of immigrants. But for me home cooking wise Autumn and winter sees the slow cooker in action and lots of soups.